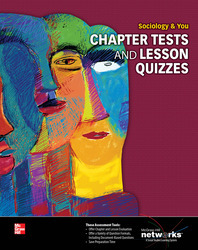 Printed booklet of Chapter Tests and Lesson Quizzes include all the editable tests available in McGraw-Hill eAssessment online. Use the printed format to preview online test questions or print for paper and pencil tests. Chapter tests include traditional and document-based question tests.